As Mercedes sell so many cars, (mostly leased) it means they depreciate like crazy and there are bargains galore. Interesting Bryce... I wonder where you found the Car... There is a minefield of C Class 204s on the net. I am interested in the last of this Model with the new 7 speed Auto. Asking prices vary a lot. I prefer to buy privately as the Dealers have a $5 to $7K markup. Though some private sellers seem to ask Dealer retail. Just a private sale. I got a reasonable deal but basically paid market price for a private sale car. My point is due to most people leasing these cars, the perceived running costs of owning them when older and the large number of them available, the days of Mercedes-Benz holding their value (outside specialty models) is long past. Certainly if you are somebody would would want to use the dealership for servicing, you would need very deep pockets. Patrick's recent S430 is another great example of this. Sure he got a good deal but look at how little you need to pay for such a car. Any high class euro, has gone through a roller coaster ride of values. 30 + year old cars are now on the way back up. In regards to my 430, I got a good deal, but you need balls of steel to look past what is on offer and find what is hiding. Many of these cars were looked after very well, but in later years were neglected. The 430 had a few surprises hidden, but has come out very well for a car that has in fact been lightly used, but then maintained very well earlier on, but a bit neglected lately. 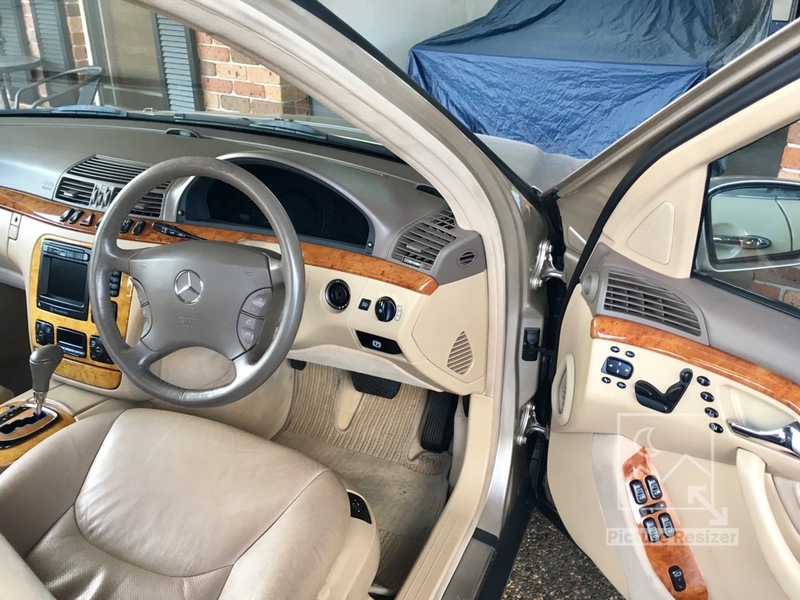 The saving grace here is the outstanding quality of the S Class, to be able to resist some neglect, and be resurrected with some good know how & TLC to its former glory. The quality of the interior made its restoration very enjoyable. The radiator was a bit of a shock, but it is what it is, and most older cars with plastic tanks regardless of make will suffer the same fate. It’s how it is repaired and brought back to life that will ensure it’s quality is kept up, even though the prices are still reasonably affordable for such a car. In the perhaps somewhat foreseeable future, I will be (we will be) contemplating the purchase of another (family) everyday vehicle. Naturally, Mercedes are on the list, and I must admit that I absolutely adore the interior of the S-Class models. 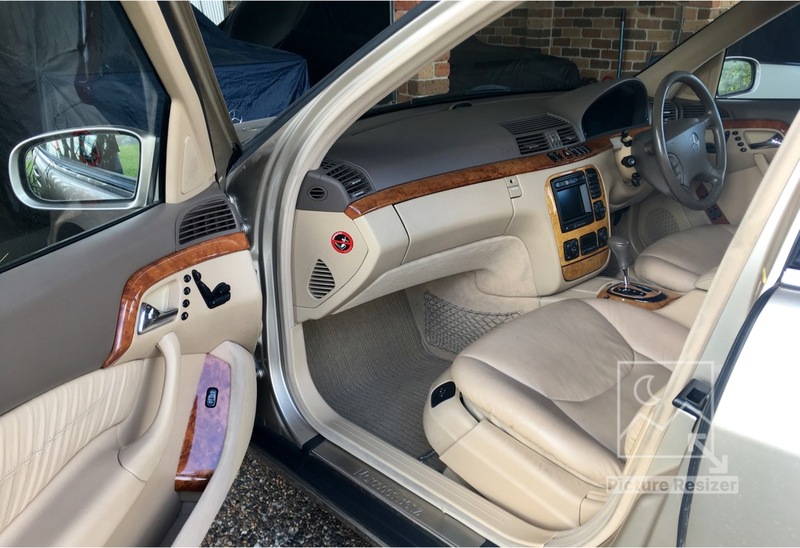 Patrick's S430 has, as stated , an absolutely gorgeous interior - one would be hard pressed to find nicer as long as it is a LIGHT colour, and some of its features are mind boggling. Personally, I would not wish to purchase anything prior to 2004. A BEHR radiator for a S430 is about $1500 on ebay, from a local seller. I see that price as reasonable for the repair and, considering the driving experience you enjoy every time you hop in it, a bargain really. I've done nearly 7000k's in the S500 and truly still look forward to getting in it and driving every time. The little things like touching the door handle to unlock it and taping the top of the gear selector to begin that unique M112/M113 starting sequence. And the interior, yes it must be light coloured, is a lovely place to be. The ride is superb, NVH amazing for a 2001 car and the climate control very very effective. Fully agree, love getting in this car and just driving it. Short of some minor detailing work, and to try and rectify the trim around the drivers seat base side, the car is complete, and I have put it on eBay and gumtree already. Bugger all profit, but I’ve learned a lot from it, so if I find another one to resurrect, I will know a whole lot more of what to look for and ask before purchase. May I recommend new floor mats in the front? All pics of the front area are before any cleaning. The front has come up like the back. I just haven’t been home enough to photograph the front. I will update this weekend. Passenger side after shampooing is as new. Replacement drivers side mat of this type is very illusive. Some pics of the front area just after vacuuming, but before shampooing. Dash has come up as new also. As mentioned pics will be updated this weekend, at present I’m awY traveling almost more than I am at home. New images loaded until I can get replacement drivers mat. Can’t buy genuine any more. Passenger mat is as new, they just don’t photograph well. This gorgeous car is 17 years-old, it's not new! You've done a stunning job! I have known Patrick for some years and I know he is a perfectionist. 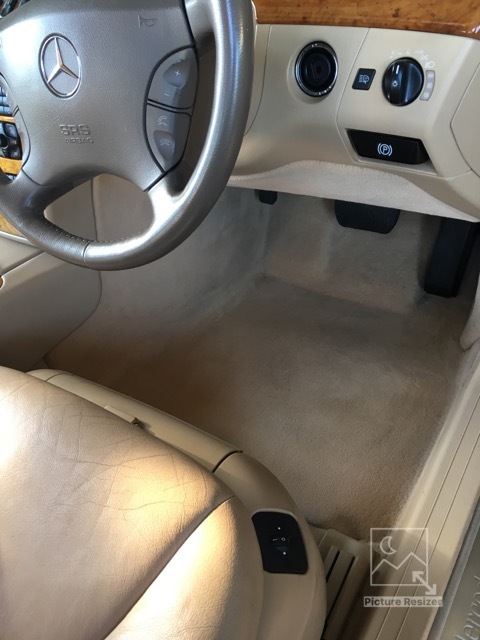 The car is spectacular but the front floor mats are not Mercedes-Benz's best attempt. They are the same mats as in the CLK. After 6 months ours looked scrappy. The dealer gave us 3 free replacement sets - in his own words the mats were made from "crappy" material. 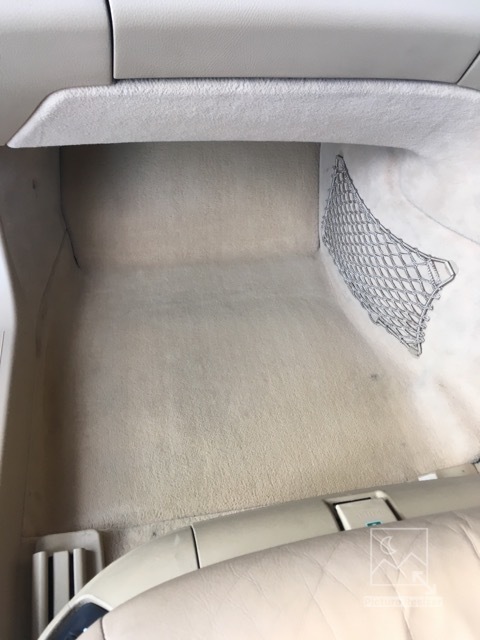 In contrast, the floor mats in the ML look like new after 19 years. How much of a perfectionist is Patrick will be revealed when he tells you about his secret polishing method. I saw what he did to make his Shadow gleam like a new car.